Morning everyone! 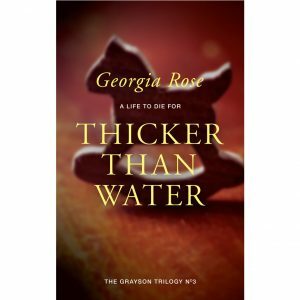 I have been under the weather for a couple of weeks and have not been that good at spreading the word on anything recently so this is an overdue sharing post for a terrific review for Thicker than Water that has been posted by Carrie Ann Lahain on her site, Because Good Writers Read! Carrie also writes a really excellent Newsletter which comes out every Friday and is on writing and things surrounding that and I’d encourage everyone to sign up for it. You can do so by clicking on the link above and filling in the necessary in the sidebar. Enjoy! !